1.1. Birth of Titans will take place from 30 August 10:00 CEST (UTC+2) until 13 September 10:00 CEST (UTC+2). Provinces do not provide income. All the gold generated by provinces will be used to create the prize fund for top-clans according to the clan rating of the event. During the Birth of Titans event, clans will be taking part in two clan operations that will contain several clan tasks. For completing these clan tasks, clans will earn Fame Points. Win a defined number of battles in target provinces. Win a defined series of battles in target provinces. Capture and control the Citadel provinces. 2.1.1. On the Global Map, there will be special provinces known as Citadels. When the Birth of Titans event starts, every clan will be assigned the Attack on Citadel operation. 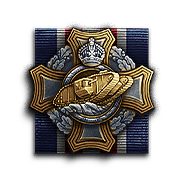 If a clan completes this operation and captures target provinces, they will get Fame Points and special orders that are required to attack the provinces that have the Mark IV tank, which will be “moving” from province to province on the Global Map. The Attack on Citadel operation lasts for one Prime Time. When this period expires, the operation will be re-assigned to all clans, regardless of their progress. 2.1.2. A Citadel is a province or several provinces that are surrounded by fortifications (landing provinces). 2.1.3. Clans can capture a Citadel from only adjacent territories. For this, they need to capture one of the fortifications (landing provinces nearby). Every Citadel province will border on at least one landing province where clans can land and attack Citadel provinces by land. 2.1.4. 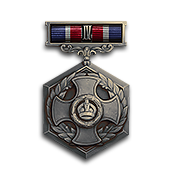 For capturing target provinces during the Attack on Citadel operation, clans will earn Fame Points. Technical victories are not included, default losses do not end a series. 2.1.5. For completing the Attack on Citadel operation, clans will receive orders to attack special provinces that have a Mark IV tank. Clans can capture several Citadels and get a few orders to attack the Mark IV. Clans get one order for capturing or holding a Citadel province. The maximum number of active orders per clan is five. 2.2.1. During Birth of Titans, a Mark IV will be “moving” from province to province on the Global Map. The Attack on Mark IV operation will start on 1 September. For completing clan tasks in the Attack on Mark IV operation, clans will earn Fame Points. 2.2.2. Upon completing the Capture of Citadel task, the clan will be assigned with the Attack on Mark IV operation. This operation is available only if a clan has a Mark IV attack order. 2.2.3. A province with a Mark IV is a landing province with closed borders and without a fixed position on the Global Map. To attack this province, clans need to apply for a landing tournament in it. 2.2.4. Provinces with a Mark IV are marked with special icon. When a Prime Time ends, the Mark IV will “move” to another province. 2.2.5. A province to which a Mark IV “moves” in the next Prime Time becomes a landing province, and Divisions of the owner of the province, where the Mark IV was before, will be removed from there. Technical victories are not included, default losses end a series. Some interface elements of the Global Map will have special tooltips that will help you learn the event’s features. 3.1.1. Personal Fame Points will be awarded according to the following formula. 3.1.2. A clan also gets the same number of Fame Points for each battle as a member of the clan who participated in the battle. For example, players of clan A got 36 personal Fame Points after a battle. Thus, clan A also gets 36 clan Fame Points. Fake battles are also considered a rules violation and will be punished with full withdrawal of a clan and personal Fame Points, and game account suspension. In disputed situations for crediting Fame Points (suspected match fixing, etc.) the game administration retains the right to request a battle record, screenshots and other information relating to this situation. If the requested information is not provided, the administration reserves the right to impose sanctions on the potential offenders. We strongly recommend that you turn on the option to “Record battles” (battle replays) in the Settings menu. 4.1.1. The main trophies of the Birth of Titans event are 8,000 Tier VIII Premium vehicles. 4.1.2. 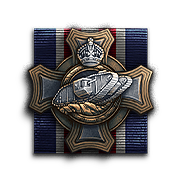 One of three Tier VIII Premium vehicles are available; top players will be able to choose one of them provided they do not have the same vehicle in their Garages at the end of the Birth of Titans event. 4.1.3. According to the event results, top-players that score the most in the Alley of Fame will be awarded with the prize vehicles, which will be distributed according to the players’ personal standings or licenses earned. Players will be able to select a vehicle on the Global Map web-site within 7 days. 4.1.4. If a player does not select a prize vehicle within 7 days, then the default vehicle, KV-4 Kreslavskiy, will be awarded. 4.1.5. A player cannot choose a tank that is already present in the player’s Garage. However, if a player used to have one of the prize tanks but sold it later, the player can still choose it as a prize. 4.1.6. The top clans will earn licenses for prize vehicles. These licenses will be distributed according to the clan rating in the event’s Alley of Fame. 4.1.7. Only one tank can be awarded per player. A player that is awarded with a prize vehicle in a clan license, cannot get another tank for their positions in the personal standings. 4.1.8. Prize vehicles will be added to the accounts of all top-clan players who joined at least 5 battles as members of that clan, during the event. 4.1.9. The remaining tanks will be distributed by the Wild Card system among the players who received the highest number of personal Fame Points. 4.1.10. If a clan scored the same number of Fame Points as the lowest-ranking prize winner, this clan will be awarded with the same number of licenses. 4.1.11. According to the personal standings, tanks will be distributed among the top-players that score the most in the Alley of Fame. 4.1.12. The remaining tanks will be awarded according to the personal standings, only after prize tanks are distributed by the Wild Card system and in clan licenses. 4.1.13. A player can get only one tank according to the personal standings. If a player is awarded with a tank by the Wild Card system, they cannot get another tank for scoring the most in the Alley of Fame. The prize tank will be awarded to the next player in the personal standings. 4.1.14. 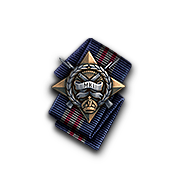 If a player scored the same number of Fame Points as the lowest-ranking tank-winner, the player is awarded with a prize tank as well. 4.2.1. Top-clans at the end of the event will get special prizes—in-game gold, Industrial Resources and Reserves. Reserves will be distributed among the top-clan players. *Reserves will be added to the accounts of all top-clan players who joined at least three battles and won at least one, and are still enlisted in the clan at the end of the event. 4.2.2. For details about clan awards, check the event’s Alley of Fame once the event is live. Hero of the Somme Class I Awarded to players of a clan that joined at least 20 battles and won 81% or more of them during the Birth of Titans event on the Global Map. Technical victories are not included. Hero of the Somme Class II Awarded to players of a clan that joined at least 20 battles and won from 71% to 80% of them during the Birth of Titans event on the Global Map. Technical victories are not included. 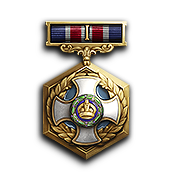 Hero of the Somme Class III Awarded to players of a clan that joined at least 20 battles and won from 61% to 70% of them during the Birth of Titans event on the Global Map. Technical victories are not included. 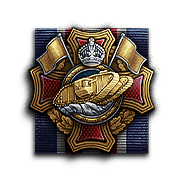 Hero of the Somme Class IV Awarded to players of a clan that joined at least 20 battles and won from 51% to 60% of them during the Birth of Titans event on the Global Map. Technical victories are not included. Iron Titan Class I Awarded to players of a clan that ranked 1st by battle results during the Birth of Titans event on the Global Map. Iron Titan Class II Awarded to players of a clan that ranked 2nd by battle results during the Birth of Titans event on the Global Map. Iron Titan Class III Awarded to players of a clan that ranked 3rd by battle results during the Birth of Titans event on the Global Map. Badge of Courage Awarded to players who joined at least five battles during the Birth of Titans event on the Global Map. Technical victories are not included.